Correct Wheel Sizes, PCD, Offset, Rims and Tire specs for BMW X1 series. I am wondering if a set of 17" rims (7.5Jx17EH2, IS 20) will fit my 2012 BMW X1 which has 17" rims (E7.5Jx17 EH2+, IS 34). Hopefully you can help me. Thanks. Will rims 17" x 8j EH2 with pco 5x120 fit a 2014 X1 with automatic? Thanks for your time. Can i fit 235 / 45 / 17 tyres on my bmw xdrive28i? The original profile is 225 / 50 / 17. Will it cause a problem? Hi may u advice me in tyre best fit iam from egypt and here roads very bad I got bmw x1 2013 and the wheels are 225/45/18 and this size of thickness very bad here can I increase it as 225/50/18 or 225/55/18?! Will 8JX17 EH2 IS34 rims fit my 2015 328i ? Hi,Wes,Can you show me your current size?the bolt pattern is 5*120? I have a 2016 X1 on 7.5Jx18 ET30 wheels. Hi,Rob Fox,if you want to buy wheels from Ebay,please show me the size. However my original BMW wheel has a rim 7J 16 ET 34. They both have same tire size of 205 55 R16. Can I use the rim in my BMW (7J 16 H2 )? Hi, robert frazier,you can try 235/45/18. Can i fit 235 / 40 / 18 tyres & rims on my 96 bmw 320i? The original tyre profile is 205 / 55 / 16. i am worried the new rims & tyres may be too big and will rub on the car etc. Will these cause a problem? thanks in advance. Hi, I've got a BMW X1 xDrive (2010) with 225/45 18 tyres on the front and 255/40 18 tyres on the rear. I'm thinking of getting winter tyres (and don't want to buy 17" wheels) but can't find many at 255/40 18 winter tyres. Would it be ok to put 225/45 18 winter tyres on both the back and front of the car or does the back have to be the larger 255/40 size? Thanks. Hi, Gregost,No,it can fit for . Hi,Mike,You car can use 19''.And according to the tire calculator result,245/45/19 is also compatible. I have a 2010 Xdrive X1 with 18" wheels, keen to try 2015 X5 wheels, will the PCD be the same? Hi,Nox,Yes,they have the same pcd,Both are 5*120. 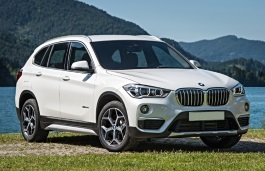 Can my BMW X1 2016 sdrive18i fit 7.5X19" ET51 rims? What tyres size should I go for? Is it recommended to use 205/50 R17 winter tires on my BMW X1 xDrive28 2016 fit (currently tire size: 225/50 R18)? Thanks. Hi,Ang,No,According to the tire calculator result,205/50/17 is not compatible for your car. If you want 17 rims, bmw recommends 205/60R17 93H tires for winter. Can I put 225/45R17 to 2016 BMW X1 xDrive 2.8i ? Thanks. Hi,Peter,The factory tire size is 225/50/17 and according to the tire calculator result,225/45/17 is not compatible. 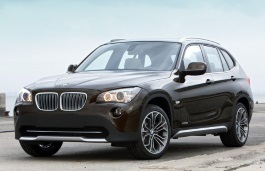 I am thinking of buying a pre-owned BMW X1 2014 28i. The dealership is trying to push a "Tyre insurance" for $1500 that covers the 4 tyres. According to them, BMW tyres are special and without insuring the tyres, each replacement tyre could potentially cost $500 per tyre. Is it true? What's so special about their tyres? Cant i just just use any P200/55R17? Hi,Colin,I don't it is common in your place,But in my place,There are not exit rules like this.In fact,BMW tyres are not special compared with other cars.I think it may be a sale trick for the dealership.If your tires are broke or undurable,You can buy another set of 225/50/17 tires. Thanks John. That was what i thought. I'm not gonna go with the insurance. Hi,Peter Wolanski,The offset for X1 17'' is 34mm,bigger than 20mm and what is the bolt patter of that 17'' rims?Does it is 5*120?,if yes,you can use that wheels but need some spacers. Will E71/2jX17 wheels with 225/50R17 tires fit my 2014 328xi? Hi John, I currently have 225/45R18 on my car (328xi luxury line. F30) and it says online that 225/50R17 are a close fitment, my concern is that the actual wheel itself is not a fit and may rub against the inside if not. The offset of these rims is 34 and the offset of my current rims is also 34. Do you know if the wheel itself will fit? Hi,Omar,For the tire,If you current tire size is 225/45/18,The 17'' tire is compatible.For the wheels,The offset and bolt pattern is same,I think wheels is not a problem.And After you changed wheels, you'd better ask the worker adjust the suspension to avoid rub the inside. Would 225/50R18 tyres fit my BMW X1 2011 front wheels?Would also 255/45R18 tires fit the same car back wheels? Hi I have a 2010 BMW X1 xdrive . I have 2 new Pirelli 225 45 r18's on back and put two part worn 225 40 r18's on front and the traction control is messing about . Should I not have mixed the profiles ? Can I put 225/45R17 run flats to 2012 BMW X1 28i? Hopefully you can help me. Thanks. Hi,Mike,No,225/45/17 is not compatible for your car. Hello, will 8Jx17 ET34 rims with 225/50r17 tires fit on my 2015 BMW X1 28i? Thanks. Can a bmw x5 alloy 17x17.5 be use as a spare for bmw x1 17x17.5 even they have different offset? Hi,Gen,What the data of these two offset? My 2014 X3 can have 225/60 R17 winter tires. Can I use 225/50 R17? By the way the tire size on it now is 245/50R18. Would 2013 X1 fit rims with following rim? Hi,Sayan,What the offset of that rims? Will the 2018 x1 rims fit the 2014 model? Hi,Michael Williams,Most car wheel offset for 2014 model is 30mm for front and 41mm for rear.But for 2018 model,the offset is 51mm.You'd better confirm offset firstly and then make decision. Hi,bill bell,The 37mm offset is compatible with 34mm.And Center core is important,It must be same with your current rims. I have an x1 e84 (2012) with pattern tyre size 225/50/17 can I install 225/55/17 tyres? Hi,Sebastian,No,these two tires are not compatible. Hi,Ted,What your current tire size?I can help you confirm it.For steel rims,If it is compatible with your current alloy rims,You can use it. Hi, I have a 2018 bmw x1...will my 225/45/18 winters fit ( previously from my 435) They recommend 225/50/18?? Hi,Bob,can you show your current tire size?I can help you confirm it. 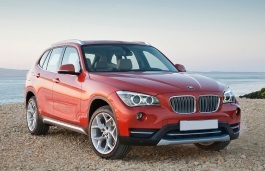 I have an BMW X1 2010 s18D. I would like to change the rims from 17 inch with some other genuine BMW rims 18 inch. What models of rims I can look for because of the bolt pattern?? Hi,Ivan,the BMW X1 2010 18'' wheel size:18*8 ET 30 bolt pattern is 5*120 CB is 72.6.you can also try 18*8 ET 30(front)/18*9 ET 41(rear).You can try to find BMW X5 M models wheels. Will a donut spare tire off a 2008 BMW E83 work on my 2008 328 xi ? Hi,William Smythe,What the detail size of that E83 tires?And Does the 328xi use stock tires?I can help you confirm your question.